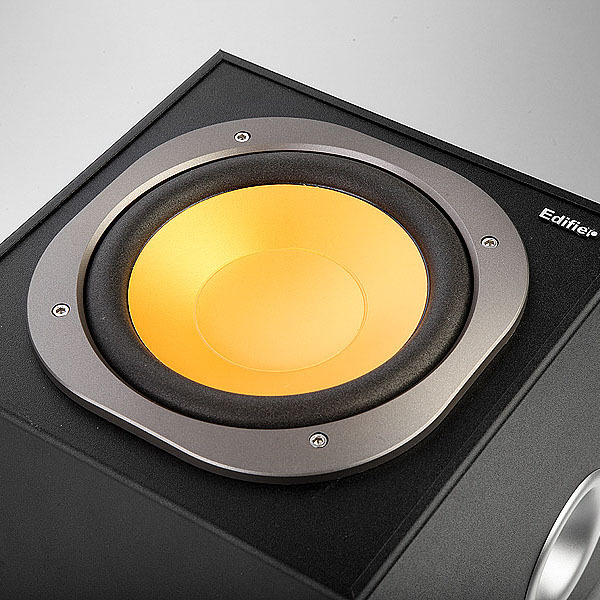 Add a splash of colour to your everyday sound with P3060’s signature golden tweeters. Housed in an elegant piano-finished wooden enclosure, the stylish 2.1 speaker system sounds as great as it looks. The 6½" magnetically-shielded subwoofer produces powerful bass, complemented by a pair of satellites with 3" tweeters. The result is perfectly balanced music that fills the room. 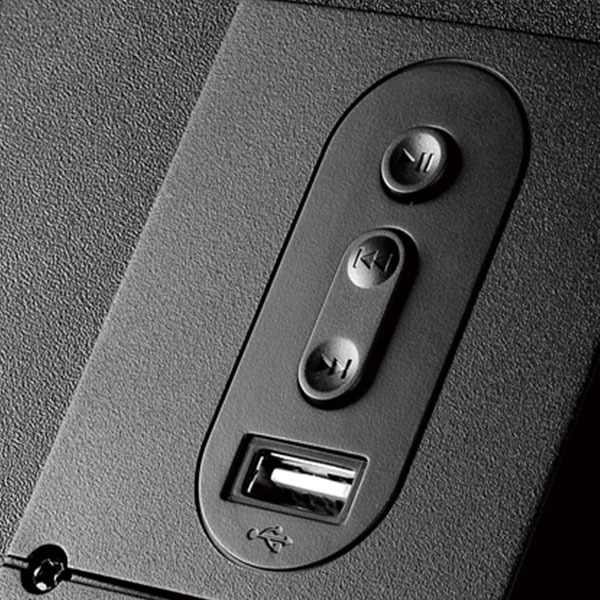 For a personalised listening experience, you’ll find volume and bass control dials on the back panel of the subwoofer.